Home » Life & Society » April Fool's Day: Were you fooled by these hilarious pranks? 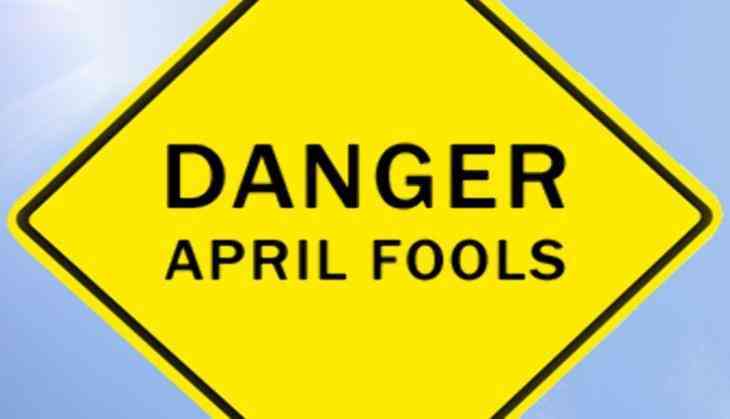 April Fool's Day: Were you fooled by these hilarious pranks? If there's one thing fake news has improved, it's April Fool's Day. With the world a bizarre enough place already, fake news has made even the most ridiculous of things seem plausible. This smorgasbord of the bizarre and fake is the perfect environment to make April Fool's pranks a success, and these brands have upped their prank game to God mode. Netflix and Hulu are known for some fantastic original content, and for April Fool's they both decided to produce some more, albeit hilariously weird, original stuff. Hulu announced a new service called Hu, which offered only 8-second summaries of shows, which they dubbed micro content. Meanwhile, Netflix, not to be outdone by its rival, also came up with its own ludicrous premise – Netflix Live. What is that, you ask? It's a live stream of Arrested Development's Will Arnett narrating everyday things. While corporate brands need to do a lot to prank their customers, newspapers have it easy. And so we got articles about Polar Bears migrating to Scotland because of melting ice caps. However, with all their practice printing false tabloid gossip, it's no surprise that the most convincing prank in the media world came from Daily Mail. Daily Mail carried a front page spread, complete with all the bells and whistles that make for a convincing story, claiming Prince Harry and his girlfriend had a secret 300 pound marriage in Las Vegas. Google never misses a chance to pull some April Fool's pranks, and so it proved again. While most people probably encountered their Pac-Man prank, where Google Maps became a playable game of Pac-Man, that wasn't their only prank. Google also announced the Google Gnome – a small table top gnome with a host of features. Not only can the Gnome give you weather updates, but it can also play games and mow your lawn. More than amused, we're upset this doesn't actually exist. Not to be left behind, airlines also got into the act with some ridiculous pranks. First up, we have Emirates, who showcased a new plane – the APR 001, a triple decker with an entire park and swimming pool inside it. However, they weren't the only airline with a funny bone, as Virgin Australia announced that they would soon be enlisting a canine crew. While Virgin Australia's prank is absolutely pawdorable, it could make sense in India, given MPs like Ravindra Gaikwad.